The Acellular Pertussis Vaccine Increases Susceptibility to Whooping Cough for Life. 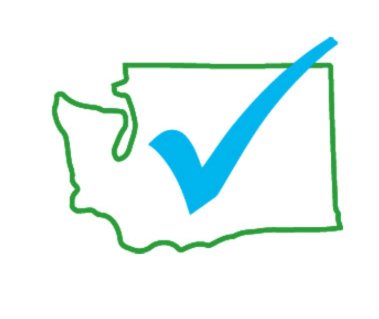 Informed Choice Washington has been voicing our concerns about the acellular pertussis vaccine for a couple years now, via emails, oral and written public comment to the Board of Health, the Department of Health Vaccine Advisory Committee, and individuals at the Department of Health. We started a Change.org petition in 2017, and have now re-launched it. UPDATE: New paper confirms the acellular pertussis vaccine increases lifetime susceptibility to whooping cough. Informed Choice WA and the People of the State of Washington respectfully request that Secretary of Health Wiesman take action immediately to protect the citizens of Washington State by informing them about this failed product. The Board of Health should immediately remove the requirement for this vaccine for daycare and school attendance, and the administration to pregnant women—which is an unlicensed off-label use—should cease immediately. All pertussis-containing (whooping cough) vaccines including the DPT, DTaP, and TdaP vaccines have been found to create asymptomatic carriers, increase strain mutation and strain replacement, and effectiveness is decreased with subsequent vaccinations (click here for an in-depth video and links to all references cited ). 1. Form a Special Advisory Committee to examine in-depth the pertussis dilemma. 2. Inform the public and all vaccination providers of the risk of asymptomatic transmission, strain replacement, mutant strains, decreased effectiveness with subsequent vaccination, and increased lifetime susceptibility. 3. Instruct appropriate health care providers to screen all individuals potentially exposed to pertussis regardless of vaccination status. 4. Consider incorporating RDT (rapid diagnosis technology) for pertussis and other communicable infections as promising new tools to help limit the spread of infection. 5. Research safest methods of addressing cases of pertussis infection for best outcomes, including Dr. Suzanne Humphries’ Vitamin C protocol. 6. Track pertussis infection according to strain, vaccination status, symptomatic or asymptomatic status, to improve future research and policy decisions. 7. Discontinue recommending pertussis-containing vaccines to the public and to pregnant women. 8. Remove pertussis from list of daycare and school-required vaccinations. 9. Advise extreme caution in use of DT or Td vaccines in lieu of pertussis containing vaccines: see manufacturer’s inserts for apnea and other adverse reactions. The formulations contain between 170-530 mcg of aluminum per dose, and several contain up to .33 mcg of the mercury preservative thimerosal. No vaccine, not even the ones currently recommended by the CDC, have been licensed by the FDA for use during pregnancy for protection of the fetus because adequate safety studies have not yet been done. See manufacturer inserts.